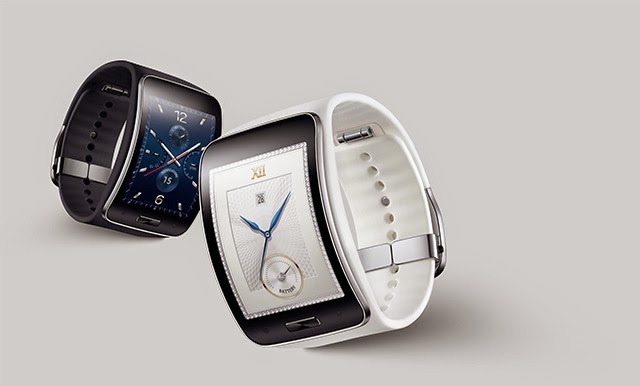 The Samsung Gear S is not only already out, but is also almost half the price of the Apple Watch, and yet works very similarly. Using a Bluetooth connection, it connects with your phone and through it you can answer your calls, reply to text messages, and even skip a track on your playlist. But is it all really worth it, just to save the time it takes to get your phone out of your pocket? Well, the short answer is ‘yes,’ and you’ll be surprised at how quickly you’re completely converted to this new level of accessibility – it’s one of those increasingly essential unessential luxuries! 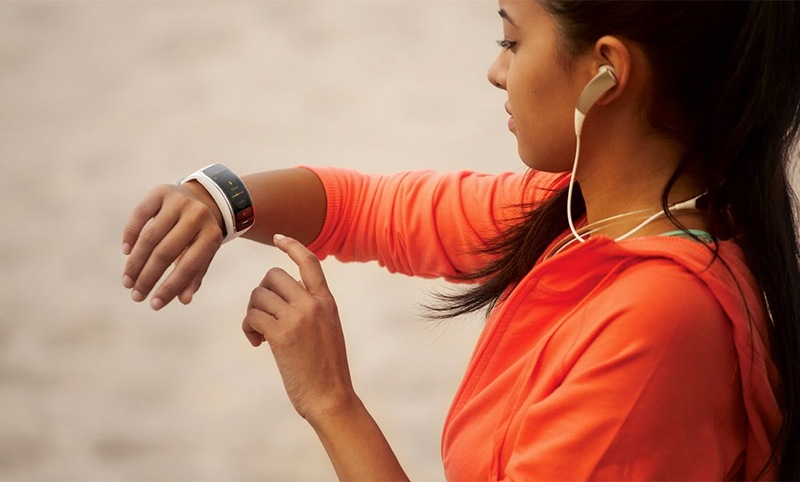 In addition to the standard features, the Samsung Gear S also doubles up as the ultimate workout companion. It boasts a whole host of health and fitness features, including an accurate heart rate monitor, pedometer and GPS running tracker. In addition, Samsung have introduced an ‘inactive time’ alert, by which you're reminded to get up and move when you’ve been sat stationary for a self-nominated period of time. Not only will this help with blood circulation, but by reminding you to stretch your legs and grab a glass of water now and then, has the added bonus of keeping you hydrated – now that’s multi-tasking! The interface is lovely and bright, as well as highly responsive, meaning you’re not having to repeatedly swipe the screen before it suddenly skips three pages further than you originally intended. 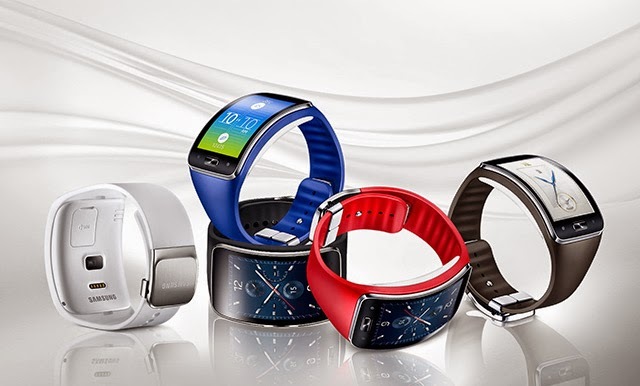 The sensors are accurate, too, so you can actually use the Samsung Gear S as a fitness tracker, as opposed to just boasting about it each and every time someone quizzes you about your new smart watch. And believe us when we say this will happen; the Samsung Gear S is hardly an inconspicuous piece of technology, though it sits surprisingly snug on the wrist, while the screen is big enough to be of use without having to pop on your reading glasses every time you need to check the time! Unlike other watches which are supposedly 'smart,' the Gear S raises the IQ level with its option to insert your phone’s simcard into it. This means that not only do you not need to retrieve your phone from your pocket going forward, but you don’t even need to put your phone in your pocket to start with - you can leave it at home! 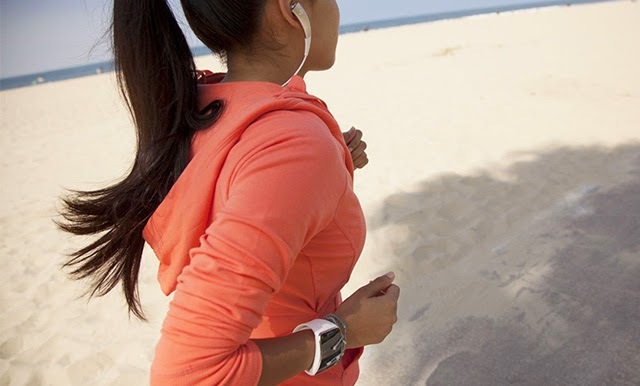 And while this may not be practical on a day-to-day basis, it’s incredibly convenient if you’re heading out for a run or popping to the gym. Pop on a pair of wireless headphones, such as the Yurbuds as featured in our 'headphones for a sound workout' article, and you'll be unstoppable! We’re big fans of the Samsung Gear S at Be An Athlete – it’s sleek, comfortable and actually works, but as always, we want to hear from you!